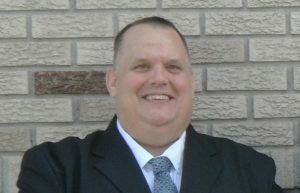 Scott M. Judge has been the Minister of the Elm Grove Church of Christ since June 17, 2018. He is a graduate of West Liberty State College in West Liberty West Virginia. Scott graduated in 1992 with a degree in Psychology and Social Work. He has been preaching since 1993 at various congregations in the Ohio Valley in both West Virginia and Ohio. In 2014 he fulfilled a life long dream and went back to school to devote his time to study God’s word and prepare to become a full time Minister. In 2016, Scott graduated from the West Virginia School of Preaching. Scott has a passion and love for people and a great desire to share the Gospel with all that he meets. He is married to Ellie Eddy Judge and together they have two sons. Jonas is 19 years of age and is attending Ohio University in Chillicothe. Joel is 17 years of age and currently attending school through the Ohio Virtual Academy. Scott can be reached by cell phone (740-835-6470). He is also available at the Elm Grove Church of Christ office Monday-Wednesday and Friday between the hours of 8:00 a.m. – 12:00 p.m.